Almost always funny man Jason Bateman is at it again. This time, he doesn’t only star in this new film, but he also makes his feature film directorial debut. He has had some directing experience with TV shows, but Bad Words is the first movie that he has directed. The film is a comedy about a kid who loses a spelling bee. 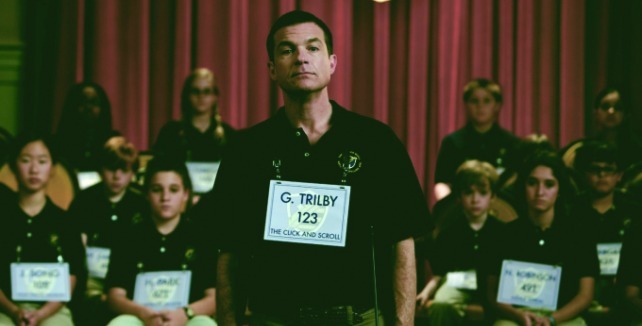 When he grows up and becomes a man, he (Jason Bateman) finds a flaw in the system and enters the spelling bee as an adult in order to try to win. The rest of the noteworthy cast includes Kathryn Hahn, Allison Janney, Rachael Harris, Ben Falcone, Judith Hoag, Philip Baker Hall, and Beth Grant. As the title suggests, I think we’re in for some foul-mouthed humor which Bateman is becoming known for. The movie will probably be pretty funny. Bad Words is set to release on 03/28/14.